Welcome to the Official East Budleigh FC website! TRAINING WEDNESDAYS AT 7PM. VICARAGE ROAD. ALL WELCOME!! 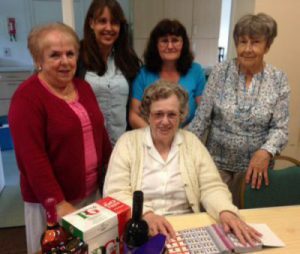 The East Budleigh Women’s Supporters Club are a small group of dedicated ladies that work tirelessly throughout the year, organising boot sales, selling refreshments on match days, and hosting weekly bingo nights in the village hall to raise the funds that help keep the club afloat each season. Year upon year these ladies inject money into the club that provides players with top quality training equipment, pavilion refurbishments, and pitch maintenance. On behalf of East Budleigh FC, we’d like to let the Women’s Supporters Club know that their hard work and effort does not go unnoticed! 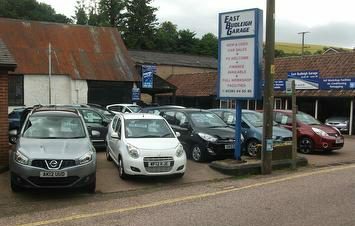 Welcome to East Budleigh Garage. We are situated approximately 12 miles from Junction 30 (Exeter) on the M5. We are a personal and professional, family run business, which has been in operation for over 30 years. During that time, the Hill family have built up a respected name and reputation for supplying high quality new and used cars. The same reputation has also been achieved in our technologically advanced workshop. This enables us to offer vehicles for sale, prepared to a high standard together with a full after sales service. ‘Sophisticated simplicity’ is probably a good description of the Dog & Donkey‘s philosophy, as they are passionate about providing honestly good West Country food and ales, with excellent customer service. The current occupant, Nick, took over the pub in December 2015, and have now brought it back to become the hub of the community. 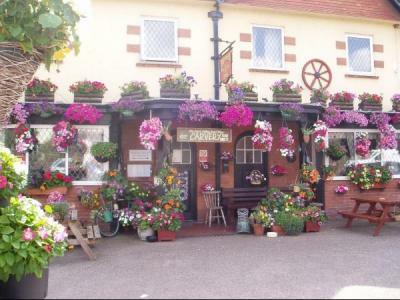 It has been completely refurbished, and provides excellent menus and well kept ales. A pub to be proud of!. The pub has a rear garden which is ideal for those long summer nights.